Hauppauge, New York is a census designated place located within Suffolk County. It had a population of just over 20,800 as of the most recent census. If you live within this CDP you should work with the trusted and experienced elder law attorneys at Mark S. Eghrari & Associates PLLC to find out about how an attorney can help you to prepare and plan ahead for your future. There’s a lot to know about services and supports in Hauppauge, and we can provide the information you need. As you get older, staying connected to your community is important in order to maintain your health. Seniors who become isolated and don’t have strong connections tend to experience more health problems, so it is important to take part in activities within your community. It is also important to understand the kinds of benefits and programs you could potentially take advantage of within Hauppauge that could help you to remain independent as long as possible. Home energy assistance programs, nutrition programs, and legal assistance programs. There are also other programs and services provided by the state or federal government that you might potentially be able to take advantage of, depending upon the specifics of your own particular situation. 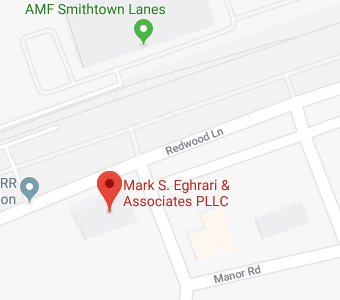 Mark S. Eghrari & Associates PLLC will assist you in identifying different benefits and taking the necessary steps to become eligible for them so you can live a rich, full life as a senior in Hauppauge. Elder law attorneys help seniors and people of all ages to be prepared in case of incapacity so their loved ones will not need to go to court for guardianship or conservatorship proceedings. We also provide assistance to clients in making plans to facilitate the transfer of wealth after a death occurs. Because many people want to spare their families the stress and expense of the probate process, we can assist in finding alternative ways for wealth to transfer. Sometimes, however, going to probate court will become necessary because your loved one does not have a guardian or conservator named and is incapacitated; because assets must be transferred through the probate process or because problems with the trust administration process require a trip to probate court. The website of the NY Courts: Here, you can find information on which courts handle probate in Hauppauge and what types of legal issues the probate court has jurisdiction over within Suffolk County. This will help you to determine what court is the right one for you to go to given your situation. The Surrogate Court for Suffolk Count: In New York the probate court is called the Surrogate Court. The Surrogate Court for Suffolk County which you will need to visit if you are going through the probate process or through guardianship and conservatorship proceedings is located at 320 Center Drive, Riverhead NY 11901 and can be reached via phone at 631-852-1713. Another of the key issues that an elder law lawyer in Hauppauge can help with is making a plan in case you need to qualify for Medicaid coverage. Medicaid could be the only way to get your nursing home care paid for since Medicare only covers skilled nursing care and that’s not the kind of care that usually sends people to a home. The main website of the New York State Department of Health: The FAQ page provides the information that you need to understand how the Medicaid program works, when you can become eligible to get Medicaid to cover your care, and what types of benefits are available through Medicaid as a senior. Resources from the health department on finding a nursing home: New York State provides this resource to make it easier to find high-quality nursing homes that are Medicare or Medicaid approved. You can learn about different care facilities that accept Medicaid as a source of payment. The Tax Cuts and Jobs Act that passed in December of 2017 changed the federal rules for estate tax so far fewer people must now pay estate tax to the IRS. However, it is still very important that you understand the rules for estate tax within the state of New York so you can determine if an elder law attorney will need to help you take steps to try to reduce or avoid estate tax that your estate may have to pay to the state. You can visit the website of the New York State Department of Taxation and Finance to find out more about when estate tax is owed in New York, what the estate tax rates are, and how much your estate may have to pay if you leave assets to heirs or beneficiaries other than your spouse. Hauppauge elder law attorneys at Mark S. Eghrari & Associates PLLC will help clients of all ages with key issues that they need to consider as they plan for the future. Whether you are thinking ahead to what would happen if you need to go into a nursing home or whether you have a young family and we need to help you make a comprehensive estate plan in case something happens to you, we can provide the help and support you need. Give us a call today to find out more about the ways in which our legal team can assist you.